Even if you've got a massive DSLR in your camera arsenal, there's no shame in occasionally relying on your lightweight smartphone or a compact point and shoot for pictures. 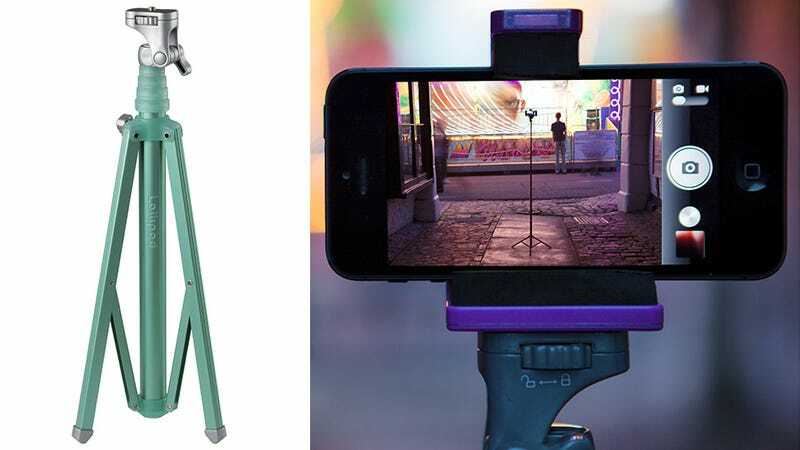 And on those days when you just don't feel like lugging a heavy camera and its cumbersome accessories, the Lollipod will fill in as an incredibly lightweight and compact tripod designed exclusively for smaller shooters. The Lollipod weighs in at a scant 320 grams, so it's actually lighter than the new iPad Air. At full height it stands just under four feet tall, and when collapsed it's just over a foot in length so it's easy to stash inside a backpack and forget it's there. Gorillapod's tripods offer similar functionality and form factor, but the Lollipod's rigid frame and extra height means you never have to hunt for a place to perch your camera for a stabilized shot.